I Found this old issue recently. That’s 23 year-old Corporal Alexander Le Gerda of the 853rd Ordnance Company on the cover. 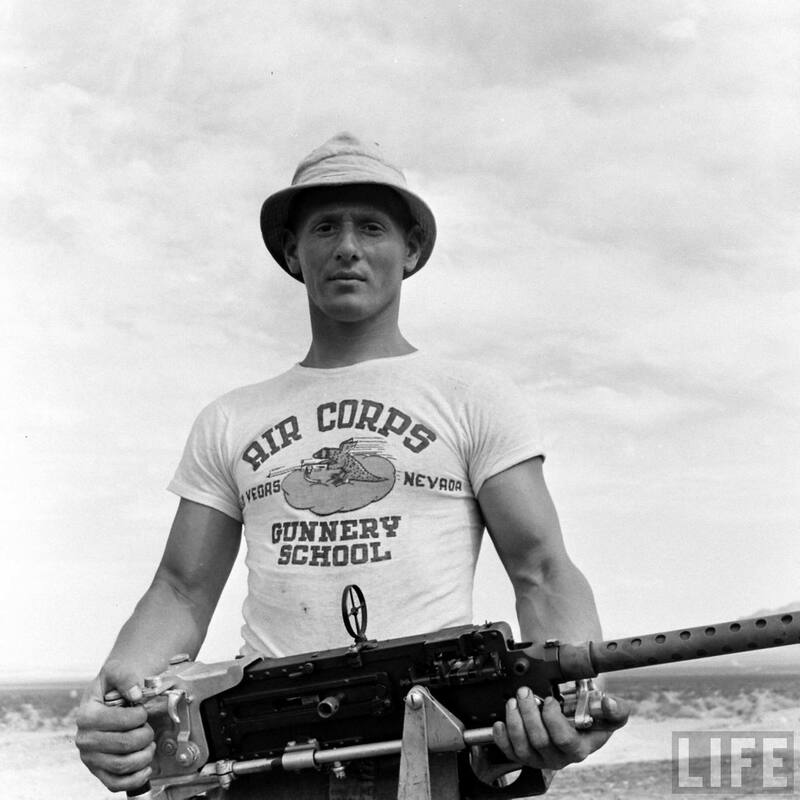 His job was the maintenance of machine guns, such as the .30 cal. Browning that he’s holding in the pic, as well as issuing ammunitions to student aerial gunners. He played softball for the post team, and the t-shirt he’s wearing was part of their equipment. Alex was born in Topton, Pa. and spent $30 out of his last pay telephoning his girl back in Allentown. Found a few more images from that photo shoot that didn’t make the magazine, but were in the Time/Life archives. 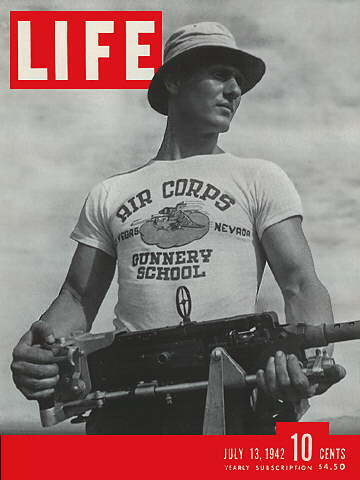 In 1942, t-shirts weren’t considered “proper street attire”; but this cover made them extremely popular, especially with young men. 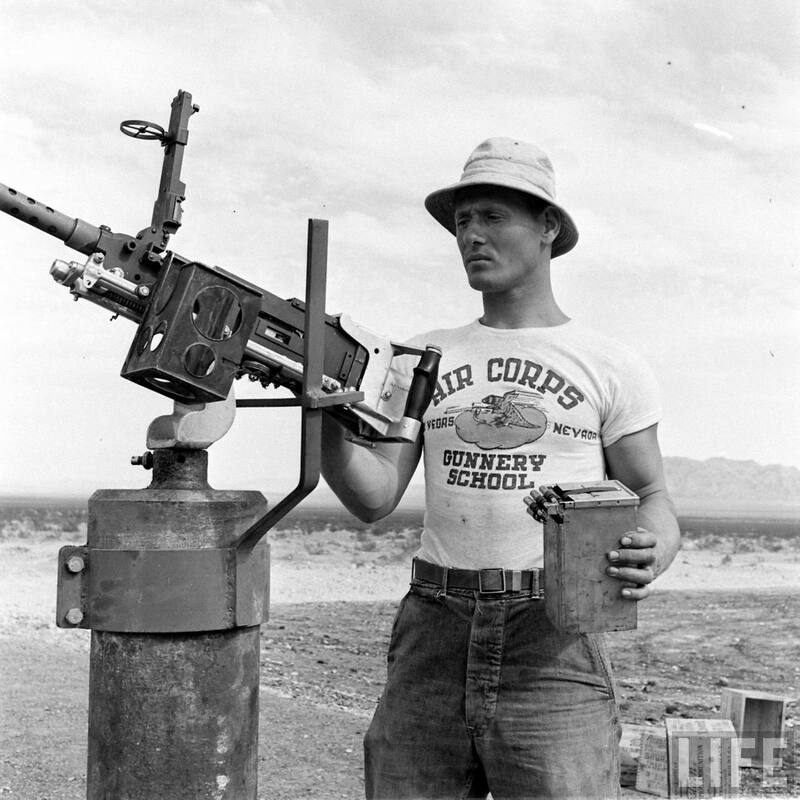 The Air Corps Gunnery School T-Shirt is still available today. I found them here for 20 bucks. Think I may have to get one…….although I don’t expect to look anything like Corporal Le Gerda does in his. Life magazine did a lot of coverage of World War 2. I know that my brother the vet will back me up in saying that World War 2, and the men fighting it, drastically shaped our country. For the first time, women and minorities entered the work force in huge droves; pulling the country out of the Great Depression. After the boys came home, the U.S. solidly establishing itself as a leading world military leader, Americans moved to the suburbs and started having babies. Lots of babies. 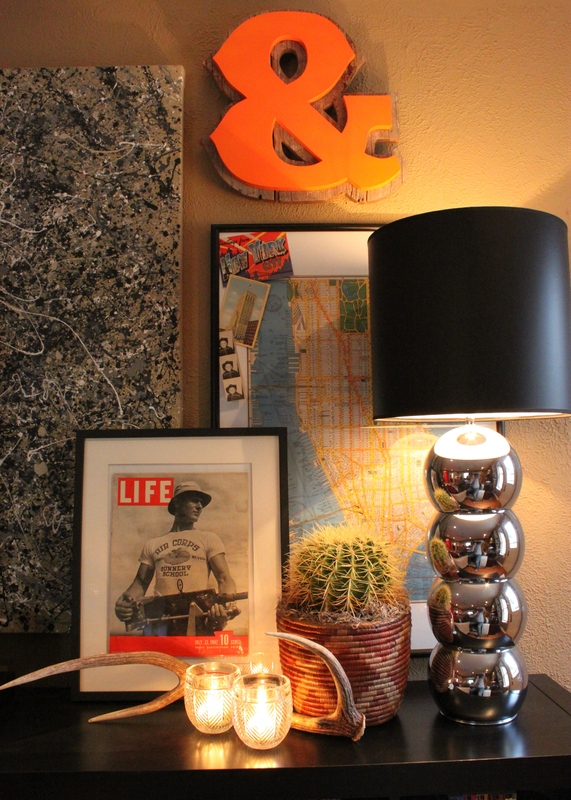 Wasn’t sure what to do with this issue…….so I just slipped it into an Ikea frame. That’s really not bad inflation over 70 years. I’m such a dummy bc I showed this to my Former Marine husband when I should have just bought him the t-shirt for Valentine’s Day. It turns out that was the same gun his grandfather used, and he may have even trained in Las Vegas. Is it weird that young guys in old photos always seem to look older than our current young guys? Or is it just me. You just found the perfect gift that I’m ordering today for my husband! Thanks! Well, he won’t look like the young man in the photo, but I don’t care. I think we’re going to have to move to Texas to find cool things like you always manage to find. I do love junk stores, garage sales…..and piles of trash on “Big Trash Day”…you don’t have to be in Texas for any of those…Are you getting him just the t-shirt? 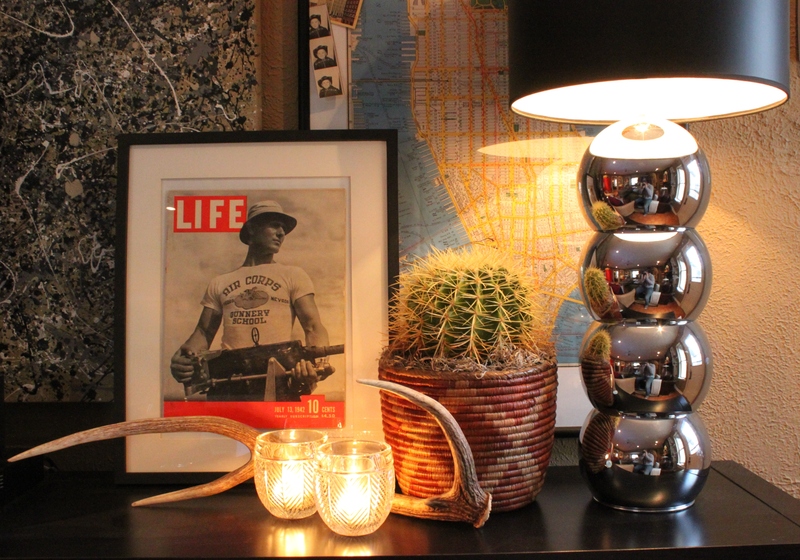 or the LIFE magazine issue to go with it? Great post! Love the magazine cover. And the history lesson. I had 4 uncles who served in WW2. Thankfully, all came back alive and (physically) unharmed. My Grandfather was in the Navy, leaving behind my grandmother and my 2 little aunts, after he came home – with tatoos and a foul mouth – my Mother was born 9 months later…. Thanks so much for the inspiration and the awesome site. Hi Chris, that is just awesome. You know that we’re “dog people” in our house. 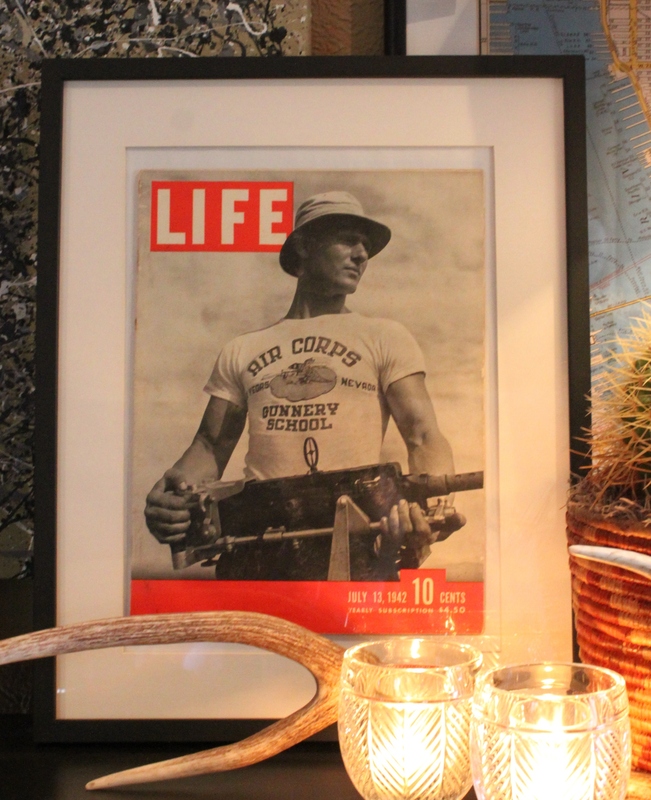 Jamie has a couple framed Lifes in his office, and I know he’ll want to add one like yours when he sees it. Glad that we could inspire you! Thank you. This post helped me a lot in my monography.